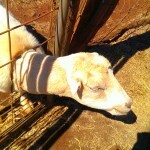 It was a beautiful day in Kula for a visit to Surfing Goat Dairy. 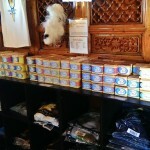 Not only are there plenty of treats to buy at the Surfing Goat Dairy, but lots of non-edibles are available as well! Eager goats await your tour– because you’ll have snacks! I loved feeding this friendly mommy-to-be goat! Our fun, knowledgeable tour guide showed us all about a working dairy farm. Plenty of other animals hang around the farm– all of them were super laid-back and friendly. If you’re planning a trip to Maui, I’m sure you’ve got lots of those traditional tropical Maui activities planned—and that’s great! You definitely deserve to sip a mai tai with your toes in the sand; even those of us who live here can’t resist that temptation every once in a while. But, if lying on the beach is getting old, maybe you should consider something that you may not have even been on your vacation radar. 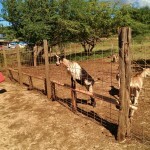 If you’re up for a gorgeous drive, beautiful, sweeping views, cooler weather, and a unique learning experience, you should check out Kula’s Surfing Goat Dairy. First of all, the drive to Kula is beautiful. You really get a sense of the quiet side of Maui—what we call “upcountry”—as opposed to the busier resort areas. By the time you reach this fully functional dairy, you’ll almost feel like you’re on a different island completely. 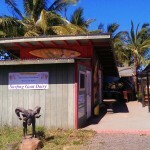 As you pull into Surfing Goat Dairy, you’ll be greeted with quirky signs and colorful buildings. Gorgeous surfboards decorate their grounds, and you’ll catch a glimpse of their famous goats right away. Their incredibly friendly staff will let you know when the next tour is, and there’s lots to check out while you wait. During your tour, you’ll learn about the history of the farm and the types of goats that live there. You’ll have a chance to feed a snack to some friendly goats—and they know you’re coming! It’s fun to watch them crowd at the fence, waiting for a treat from visitors. Their diet, of course, is strictly supervised by their staff, and it’s clear that these goats are living the good life on this beautiful, 42-acre, completely humane dairy. You’ll also get a chance to check out the state-of-the art milking equipment, which helps to supply enough goat milk to meet the high demand of this local—yet world-renowned—dairy: up to sixty pounds of cheese per day! Finally, join your knowledgeable tour guide for a cheese tasting, and you’ll be blown away be the amount of variety that Surfing Goat Dairy features in their cheeses. From savory to sweet, spicy to mild, you’ll have a pretty good idea which cheeses you’ll want to pick up on your way out. If you want to experience more cheeses, order a flight or cheese platter after your tour, and enjoy them at your leisure in their charming al fresco seating area. 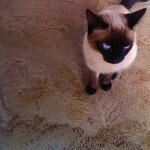 More than likely, you’ll get a visit from some of the dairy’s friendly canine and feline residents as well. If you’re planning a day upcountry, a visit to Surfing Goat Dairy should not be missed. Even better, book a Haleakala Sun-Trek, an unforgettable adventure that includes a stop at the farm. It’s one of our newest tours, and it is packed with fun and informative activities in Upcountry Maui, including a helicopter tour over Haleakala, a tour of Ocean Vodka, a visit to Makawao, and of course, an opportunity to meet the friendliest goats in the Pacific. If you’re looking to do something truly unique, you don’t want to miss the Haleakala Sun-Trek! When you think Maui, you might think of serene, secluded beaches, adventuresome journeys into the rainforest, and sipping a cocktail while enjoying a sunset over the ocean. True, Maui can offer some of the best spots and activities for newlyweds, couples celebrating anniversaries, or really anyone looking for a romantic getaway for two. What you might not realize, though, is that Maui is also a perfect spot to vacation as a family. Not only do many major resorts offer entertainment, activities, and even entire areas geared toward kids, but there are so many more things to do on Maui that are fun for everybody. 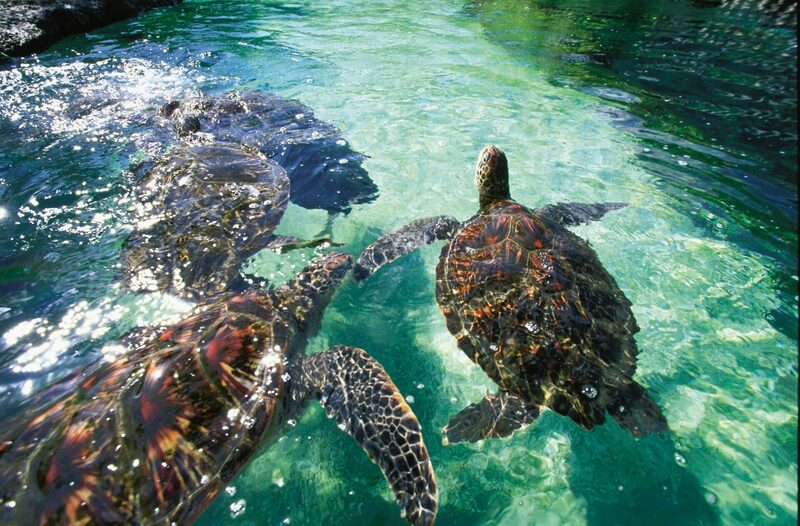 You might get lucky and catch a glimpse of a sea turtle at the beach– but your kids will love seeing them up close and personal at Maui Ocean Center! 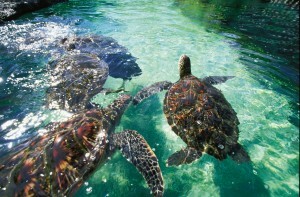 If you haven’t already, you and your kids will want to check out the Maui Ocean Center. Located centrally in Maalaea, it’s a quick drive from almost anywhere on the island. This state-of-the-art aquarium is home to sharks, turtles, fish, and so much more. Not only will your kids get up close and personal with Hawaii’s most fascinating sea life, they’ll also get a chance to check out interactive exhibits and even visit some friendly critters in the touch pool! Everyone from toddlers to seniors can find something to enjoy at this world-renowned spot. It also boasts a huge gift shop, with everything from toys to fine jewelry, where you’ll find keepsakes for everyone in the family. If your kids are as swept up in the Aloha Spirit as you are during your Maui vacation, then reservations at the Old Lahaina Luau is a must. Your family will get a first-hand idea of a traditional Hawaiian lu’au, and enjoy world-class entertainment found nowhere else. If your kids are up for trying some new foods, this is definitely the place to do it. You might be surprised at what your kids will learn that they love at their very first luau. At this award-winning attraction, kids can also play games, learn crafts, and get a full interactive Hawaiian experience. Your kids will be thrilled to catch a wave during their Maui vacation! Ask your kids what they think of when they think Hawaii, and I can bet at least someone will mention surfing. 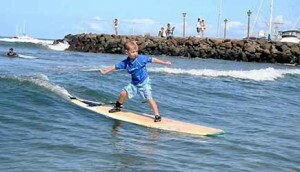 Make those Hawaii fantasies come true, and sign your kids up for some surfing lessons—right on the beach! 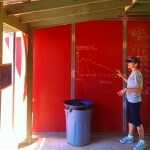 There are several “surf schools” on the island, so call around to see what would work best for your kids. Some places take kids as young as five, but only you know your own child’s personal level of fitness and maturity, so use your best judgment. 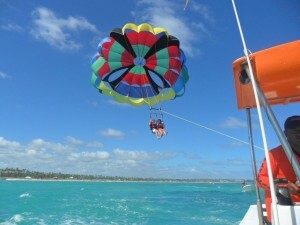 For really adventurous groups, you may want to look into another water activity, such as parasailing. Kids as young as three (with mom or dad of course) can experience flying over the Pacific Ocean. Even if only one of your kids is brave enough to fly, the rest of the family is welcome to watch from the boat. 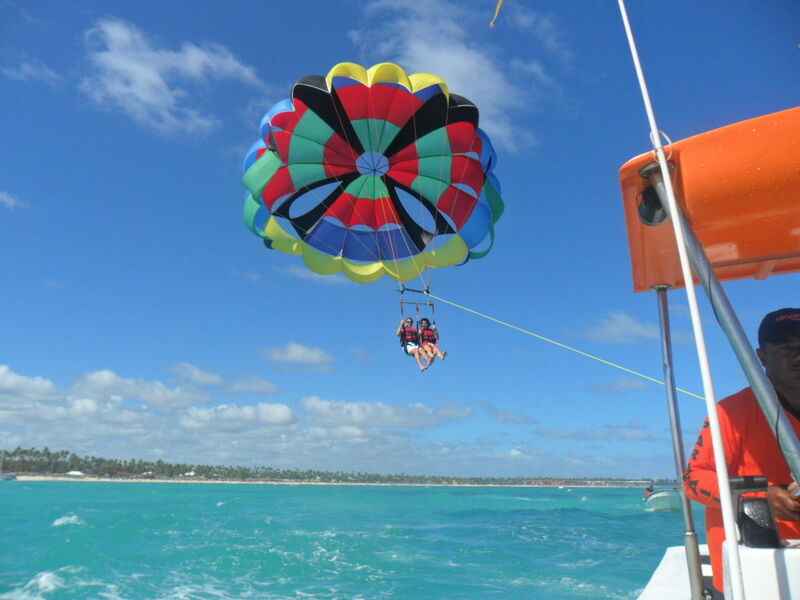 Your kids will love soaring over crystal-blue waters during a Maui parasailing adventure! After packing in more fun than you ever thought possible during your Maui vacation, it’s time to relax. Sometimes, simple is best, and a day on the beach is the perfect Maui activity for kids and parents alike. There is nothing like priceless time as a family playing in the sand, splashing in the water, and maybe even doing a little snorkeling—maybe your kids will recognize some fish from the Maui Ocean Center! West-side beaches tend to have calmer waters, so we suggest venturing into Kaanapali and kicking back on the sand. Just don’t forget to slather on the sunscreen! If you’ve been thinking of Maui as the couples’ paradise, you’re definitely not wrong, but maybe it’s time to rethink a family vacation, and give your kids a summer (or winter!) vacation that they’ll never forget. As soon as you told people you were going to Maui, you heard it. “Road to Hana! 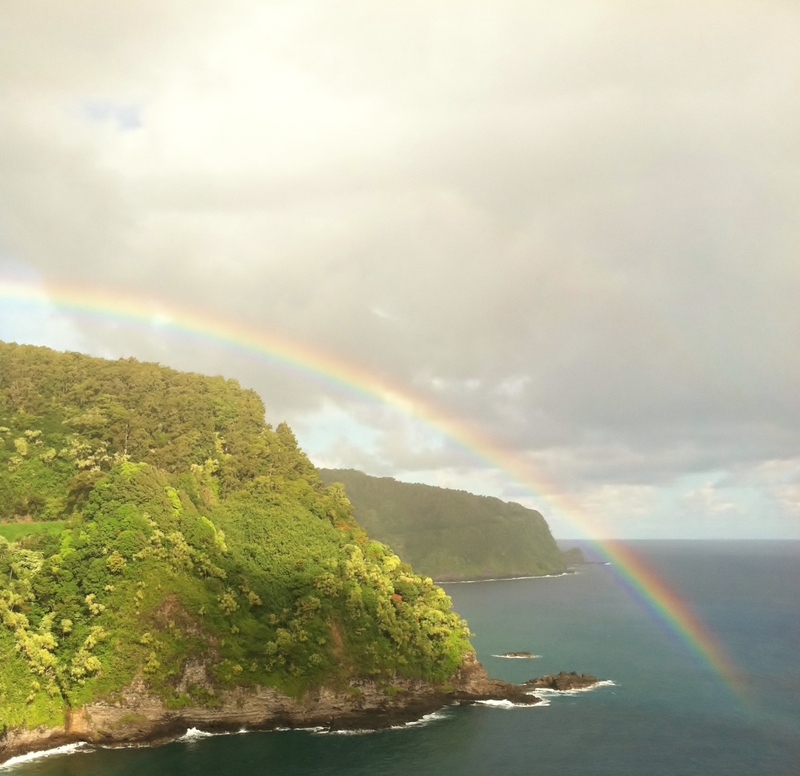 You have to do the road to Hana!” So you looked it up, you read your books, and now you don’t know what to do. Should you risk your rental car and drive it yourself, or should you hop on a tour? Which tour? So you looked it up some more, and now you don’t know much more than you did before. Some tours are cheaper than others—what gives? What’s the most convenient? The most comfortable? The least stressful? If you haven’t checked it out yet, maybe you should think about the Hana Ultimate with Temptation Tours. 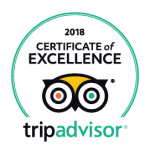 It’s a fully reimagined version of one of our classic tours, and it’s coming back strong, with rave reviews from our guests. If you want to experience the beauty of the Hana Rainforest in the utmost style, comfort, and luxury, then you will definitely want to book the Hana Ultimate. 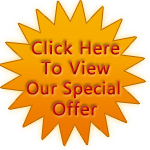 Start your day with a warm greeting from a Hawaii Certified Tour Guide right at your hotel. Settle in with a tropical soft drink or a refreshing bottled water, and start to enjoy the ride as your Guide begins the tour of one of the most beautiful islands on Earth. As you make your way out of your resort area, you’ll see the landscape start to change. Entering Paia, you’ll make your first stop on your Ultimate tour, breakfast! You’ll take your pick from a varied menu, and enjoy the view of this charming little hippie town as you enjoy your breakfast and coffee. From there, it’s time to hit the road. From Paia to Haiku, you’ll start to see the vegetation getting lusher as you begin your journey to the tropical rainforest. Along the road, enjoy quick photo-snapping stops, visits to local fruit stands, and the entertaining and informative narration from a State-Certified Tour Guide. Ready to stretch your legs? 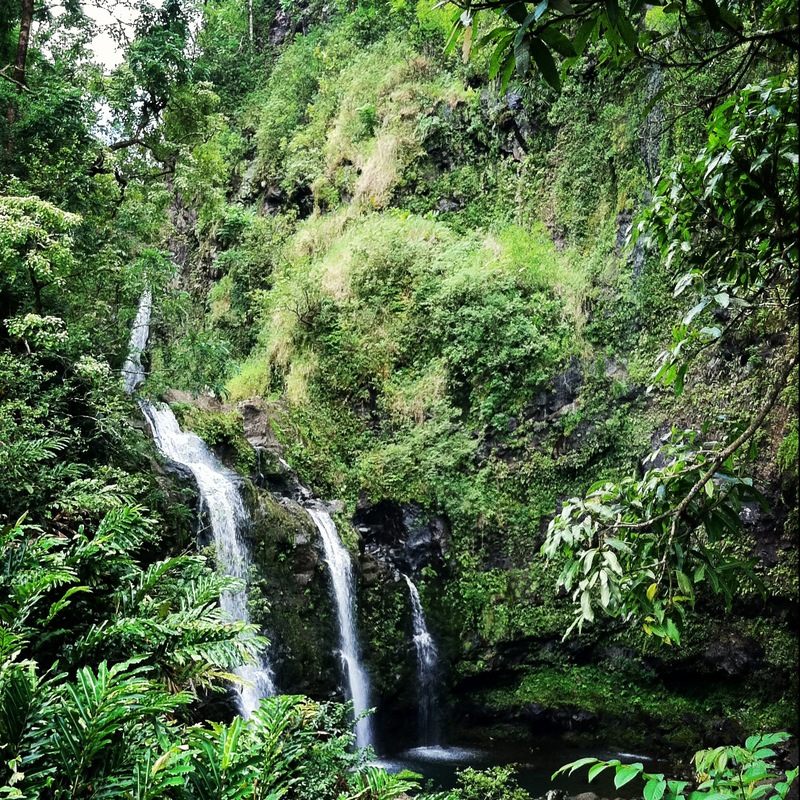 Take a dip in a natural pool under a fresh waterfall and truly relish your Hana experience. Once you’ve made your way into Hana—at a leisurely, Maui-style pace—step onto the grounds of the Travaasa Hotel and truly know why you chose the Ultimate in luxury. Relax, enjoy the view, and savor a gourmet, three-course luncheon, featuring fresh, local ingredients. After lunch, stroll the grounds at the Travaasa, then join your tour guide for touring more of Hana, the black sand beach, and other fascinating points of interest. Finally, as you make your way back down, revisit those spots that you just have to see again, to make sure you captured the perfect photo. The sights, sounds, and tastes of a luxurious Hana adventure will linger on your senses for years. There are options when it comes to a Hana tour, but once you experience the Hana Ultimate, you’ll know it does truly stand out as the best!